Crypto-Games is proud to announce the addition of Ethereum Classic (ETC) to our coin family! 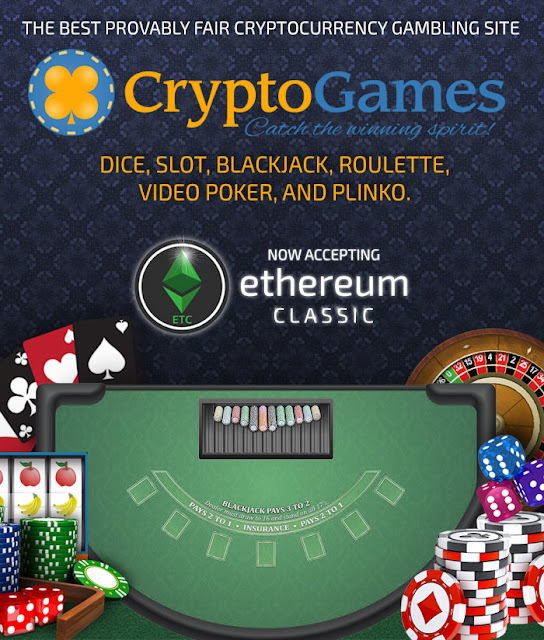 Users can now use Ether Classic to play all our games available (excluding Lotto), invest in our bankroll, tip players, and exchange coins. Crypto-Games.net has recently noticed an influx of new crypto-casinos attempting to deceive players. These casinos not only steal creative content, but also promote fraud by providing false information and unfair gaming practices. The company "JuSi B.V." in Willemstad, Curacao is the operator of Crypto-Games.net and is not affiliated with any other gambling website. As seen below, the site "btconer.io" claims to be registered by this company, when in fact, has no connection to JuSi B.V. in Curacao. When asked about their promotions, the administrator suggested rigging the jackpot to give the appearance of players winning, essentially stealing from depositing players. Crypto-Games would like to remind the crypto-community to stay safe and to do research before sending funds to a service. Crypto-Games.net is a registered egaming website in Willemstad, Curacao that provides provably fair gambling since 2014.